If you are shopping for dental and vision insurance quotes you came to the right place. We offer both stand alone dental and stand alone vision policies. However, it is important to know that buying coverage in a package is usually more cost effective. Right now the market has limited policies that are available to individuals and families in search of both dental and vision insurance. Packaging the policies can save you up to $50 per a year. Once you submit for your dental and vision Insurance quote request, you will learn about many packages that are available to you. Here are some frequently asked questions that almost all shoppers have. What is the Best Dental and Vision Insurance Bundle? If you live in Pennsylvania you will be happy to know that New Health Insurance Plans are available for 2019. Many large name carriers are offering Private Health Insurance Policies. Prices on these policies are 40% less than the Obamacare plans, and the plans are PPO coverage so you can choose your doctor and hospital. -Use any Doctor, Facility or Hospital: You Decide! -Rates 50% Less than ACA, Obamacare Plans, or the MarketPlace. Your first step is to view an online health insurance quote. The Medicare Part B standard monthly premium will be $135.50 in 2019, compared to $134 in 2018. Note: The income-related Part B premiums for 2019 will vary depending on the extent to which an individual beneficiary’s income exceeds $85,000 (or a married couple’s income exceeds $170,000). As always, 2019 Medicare supplement benefits match the federal program’s deductible and coinsurance increases, a distinct advantage in today’s ever-changing environment. 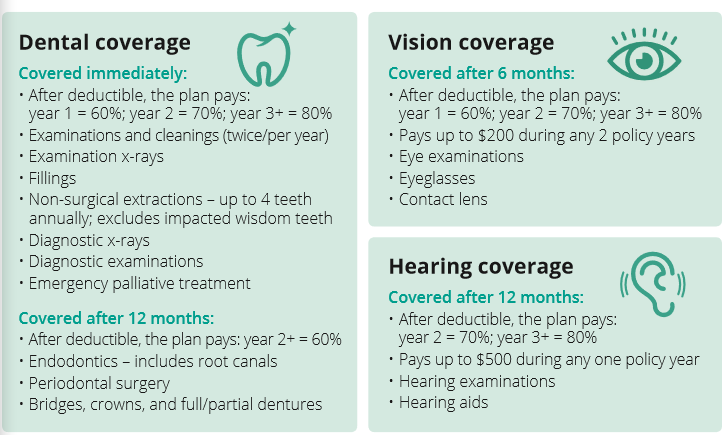 Aetna Dental, Vision, and Hearing offers valuable protection by including three types of coverage in one policy. Aetna is trying to help your family smile bigger and brighter, protect healthy vision to see clearer, and hear the world just that much better. Looking for Medical too? If under age 65, check on Aetna PPO with National General. If you are over 65 and on Medicare, you can shop Aetna Medicare Supplement Plans. When does my Aetna Coverage Begin? See a Comparable Plans through Central United Life or Mutual of Omaha. Finding a good health insurance plan is essential in keeping up with one’s physical health. It keeps the cost to the patient at a somewhat affordable level and may even help find a better group of doctors who provide amazing care. The same can be said for dental care. Finding good dental insurance is critical to keeping teeth healthy. As such, it is good to know some of the dental insurance policies available. These robust dental policies focus on preventive, major, and emergency dental procedures. Preventive care such as cleanings, x-rays and Exams are covered without a waiting period or a deductible. The plans cover basic dental services as well as major procedures like a root canal, but this depends on the plans deductible and waiting periods. The PPO offers more than 400,000 dentists, and no claim forms are needed since in-network dentists get direct payment. There are some age restrictions on dental insurance. Some plans are for age 64 and above, while other plans are for under age 65. Many different plans are offered with many different benefits. Each plan can be customized to best fit the person purchasing it. Humana is another insurance company that provides individual and family dental health insurance. Humana has a significant amount of dental insurance plans, all of which are affected by many factors. For example, age, gender, and dental needs can all affect the type of plan that is best for a certain individual. Humana has plans that differ in benefits. Some plans have a higher premium, monthly payment, than others. Differing plans also have differing co-pays and deductibles, both of which are paid by the patient. Certain plans provide discounts, so the patient would pay the dentist directly at a discounted price. Again, Humana does not have an age limit. Ameritas is another company that offers dental insurance. Ameritas has no age restrictions for its dental policies, and Ameritas allows next day effective dates to begin coverage. Ameritas has no co-pays for preventive dental care, and these preventive care benefits are more expansive when using an in-network dentist. The network includes over 382,000 dentists, which reduces the amount of paperwork. Ameritas has a resourceful customer support team that is always available to answer questions and resolve problems. Ameritas offers plans for individuals beginning as low as $19 a month for the most basic coverage in some states. The most expensive monthly individual plan is $35 a month, and it covers preventive care, restorative care, and orthodontic work. Plan premiums begin to change as more people are added, but Ameritas provides a wide enough variety that everyone should be able to find coverage. Also see GPM Dental which uses Ameritas PPO Network. 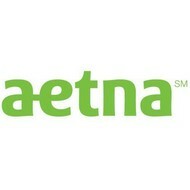 Aetna is an insurance company that offers real insurance but like to market its dental discount plans. While not the same as insurance, the discount card will provide a some decrease in the cost of dental procedures for in-network dentists. For an individual, the cheapest discount plan is $7.99 per month, and, for a family, the cheapest discount plan is $10.99. For both, the initial cost is $15. We do not recommend these plans as they are not real insurance…. The discount has a network of dentists achieving more than 200,000 dentists across the United States. Most procedures will see a 15-50% discount through any of the available dental discount plans. Dental specialists accept the discount plans too. Some of the available discount plans offer discounts for vision and hearing care as well as dental care. The dental discount plans are not as flexible as plans from Ameritas or United Healthcare, but they are still useful. The discounts may be enough for someone who cannot afford full-coverage or for someone who does not want to pay for full-coverage. When using the Health Insurance Marketplace, it is possible to purchase dental insurance through the government. To get a dental plan through the Marketplace, a person must be purchasing a health plan as well. Some of the plans in the Marketplace come with dental insurance, which will be shown when comparing the plans. The coverage has low limits and it needs to be purchased with an SEP or during Open Enrollment…..it is not a very good product, certainly not the best dental insurance…. Sometimes, there are dental plans available that are stand-alone. They are not a part of health insurance plans, but they must still be bought at the same time as health insurance is bought. This also means that there will be two monthly premiums that must be paid. Some plans offer high deductibles and low premiums, while others offer low deductibles and high premiums.Dental insurance is considered a necessary benefit for children. Children must be offered dental insurance, whether it is through a stand-alone plan or mixed with a health plan. For adults, dental insurance is not considered necessary. Insurers are not required to provide or even offer a dental insurance plan to adults. Insurance can seem like a complicated beast, but all it takes is some time to understand it. Finding the right plan for a family or individual can save more money in the end since waiting for a dental disaster can be expensive. IHC Health Insurance has become one of many companies to surface over the last few years. IHC does not partake in any ACA qualified plans and focuses on consumer driven health products, such as Temporary Health Insurance. Many states allow clients to purchase back-to-back temporary policies. Many consumers have chosen this option as their preferred option for coverage. This is mostly due to the affordability of these policies and the flexibility of use. This site works with a multitude of temporary and short term medical providers. We recommend filling out a quote form so shoppers can see the best selling plans in their area. IHC currently has two options for short term medical coverage. First we will discuss the Connect 2.0 plan which is the more affordable of the two options. The goal is to obtain affordable coverage and not worry about gaps in coverage while you’re between health care plans. Here are the most common reasons to buy a temporary policy. Missed open enrollment: If you have missed the opportunity to Connect coverage during the open enrollment period, you may be ineligible to buy a major medical policy until the next open enrollment period, unless you have a qualifying event. No need to worry, we got you covered! date, the first of the month. Depending on when you submit your application, and how long it takes you to prove qualifying for a SEP, Special Enrollment Period, you may have to wait up to 45 days for your coverage to begin. Often that is a best case scenario and sometimes it can take up to several months, or many consumers report having to wait until the next January 1st for coverage to begin. Newly Hired: Often, an employer-sponsored plan includes a waiting period before health insurance benefits begin. No need to worry, we got you covered! Filling the Gap: Coverage can begin as early as the day following your online application, if approved, and last up to 90 days. AND many states offer instant re-apply to obtain longer lengths of coverage. doctor office visit charge is covered at 100 percent. Additional covered expenses incurred during the office visit, including expenses for laboratory and diagnostic tests will be subject to plan deductible and coinsurance. The selected deductible must be paid by the covered person before coinsurance benefits begin. Family deductible maximum: Three individual deductible amounts per a policy term. Coinsurance Percentages: a variety of coinsurance percentages including 20%, 30%, and 50% – You decide. Check the rates on Short Term Health Insurance. coverage; or symptoms within the five years immediately prior to the coverage that would cause a reasonable person to seek diagnosis, care or treatment. (Notice Plan Option 2, Connect Plus (see below) does have a higher level of coverage for pre-existing). Usual and reasonable charge: The usual and reasonable charge for medical services or supplies is the lesser of: a) the amount usually charged by the provider for the service or supply given; or b) the average charged for the service or supply in the locality in which it is received. we may use and subscribe to a industry reference source that collects data and makes it available to its member companies. Continuing Coverage: If your need for temporary health insurance continues, most states allow you to apply for another short-term medical plan. Your application is subject to eligibility, underwriting requirements and state availability of the coverage. The next coverage period is not a continuation of the previous period; it is a new plan with a new deductible, coinsurance and pre-existing condition limitation. It is best to fill out a quote and shop all available options and speak with an agent to get the best plan for you. Connect Plus – Temporary Health Insurance with a limited benefit for pre-existing conditions. Providing peace of mind during times of transition. Connect Plus is a short-term medical (STM) insurance plan with a limited benefit for pre-existing conditions. STM, sometimes called short-term medical limited duration insurance, is designed to provide coverage during transitions or gaps in major medical coverage. Most STM plans do not cover healthcare expenses for pre-existing medical conditions. Connect Plus provides a benefit up to a maximum of $25,000 for eligible pre-existing healthcare expenses. This policy is a step above the standard Connect 2.0 policy explained above. Short Term Health Insurance plans provide coverage during life transitions. When you are between group insurance or individual major medical policies, these temporary health plans pay for covered medical expenses due to unexpected illnesses or injuries. Covered expenses include diagnostic physician visits, emergency room treatment, hospital stays, surgery, intensive care and more, but do not include maternity care or outpatient prescription drugs. Learn more about Short Term Health Insurance. Customize Your Plan: Select from various benefit levels which best meet your coverage and premium needs. You can also include other supplemental coverage such as dental or a discount prescription drug program to obtain additional coverage. Quick and Convenient: Coverage can begin as early as the day following your online application. The underwriting process is simple and policy fulfillment, including claims and ID cards, are available online. to traditional major medical plans, the premium is generally lower. IHC plans do not meet the Minimum Essential Coverage requirements under the ACA and may result in a tax penalty. Temporary plans are designed to provide temporary healthcare insurance during unexpected coverage gaps. coverage. Based on your answers, you may be declined for coverage. Unlike the ACA plans, which are required to cover the 10 Essential Health Benefits (EHB), These IHC plans cover some EHBs but not necessarily all. Plans will vary in what they cover, so you should check your plan details carefully. IHC plans do not meet ACA standards. The ACA is a Federal law that requires all major medical plans to provide specific benefits and mandates that most Americans have health plans that qualify as Minimum Essential Coverage (MEC). These rules do not apply to IHC plans. A pre-existing condition is any medical condition or sickness for which medical advice, care, diagnosis, treatment, consultation or medication was recommended or received from a doctor within five years immediately preceding the covered person’s effective date of coverage; or symptoms within the five years immediately prior to the coverage that would cause a reasonable person to seek diagnosis, care or treatment. This period of time may vary by state. the network information needed for the provider to correctly process covered billed charges. apply for another IHC plan. Your application is subject to eligibility, underwriting requirements and state availability of the coverage. The next coverage period is not a continuation of the previous period; it is a new plan with a new deductible, coinsurance and pre-existing condition limitation. Note that based on your state, you may be limited to two or three consecutive terms only. Is Temporary Health Insurance the Right Choice for Me? It is recommended to get a short term medical insurance quote on this site, so you can see a multitude of options. Then it is advised to speak with one of our licensed agents so you may ask questions and review products. Products vary greatly from state to state and an agent can help explain what is unique about your state. Since the start of the ACA, temporary health insurance plans have become more and more popular. Short Term Medical is an easy way to obtain coverage as quickly as tomorrow. Plans are sold in 1 – 12 month increments depending on the state you reside in. The policies are sold month-to-month and are far more affordable than Obamacare or employer coverage. Get your Short Term Medical quotes here. Be sure to visit our Short Term Health Insurance page for more information.